Granted there’s no quick fix when it comes to eating right and staying fit. Still, with a smartphone in the palm of your hand, it’s easier than ever to track all of the different elements of a healthy life. 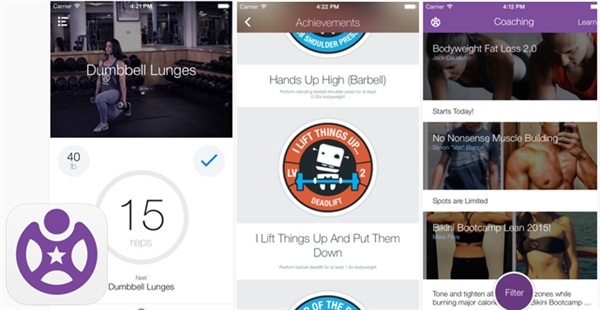 Here are some helpful health and wellness apps to get you in great shape — and maybe have some fun in the process. Zombies, Run! : Nothing is as motivating, or as scary, as Zombies, Run! 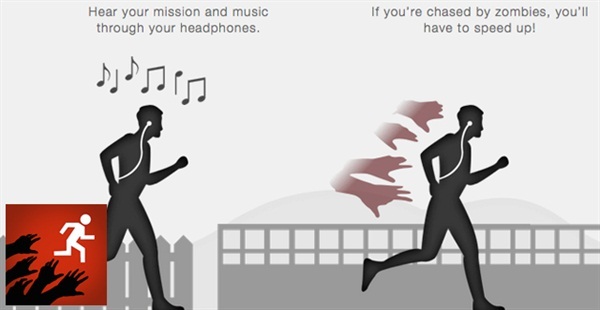 True to its name, the app creates audio running workouts through zombie-filled missions and adventures. Available on iOs and Android ($3.99). Fooducate: It’s back to basics with this app that grades foods from A to D. Fooducate also provides nutritional information and healthy alternatives. Available on iOS and Android (free). Nudge: The Nudge Factor gives you an overall snapshot of your health so you know what areas need improvement (fitness, diet, sleep, etc.). 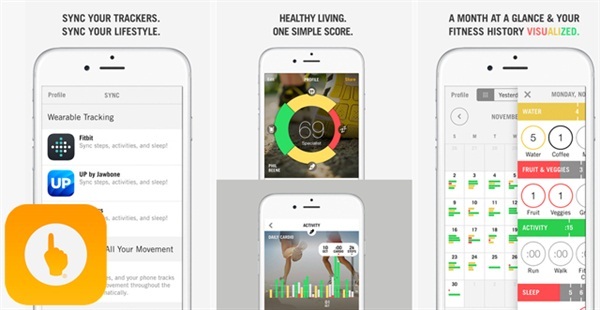 Nudge creates a single health score that you can compare with friends and family, no matter what fitness app and tracker they use. Available on iOS and Android (free). 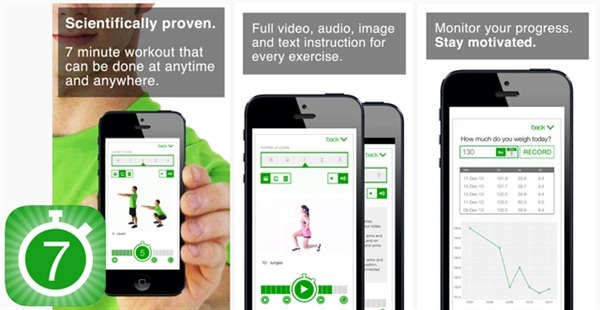 Fitocracy: It can be a pain to understand all the different numbers on the back of labels. Fitocracy takes the hassle away by tracking nutrients instead of calories, making sure you’re eating the right amount of protein, carbs, and fat in order to keep you energized and full. Available on iOS (free). 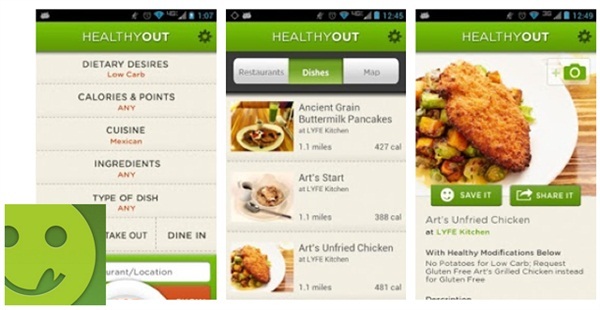 HealthyOut Healthy Meal Finder: Eating healthy can often take a toll on your social life. 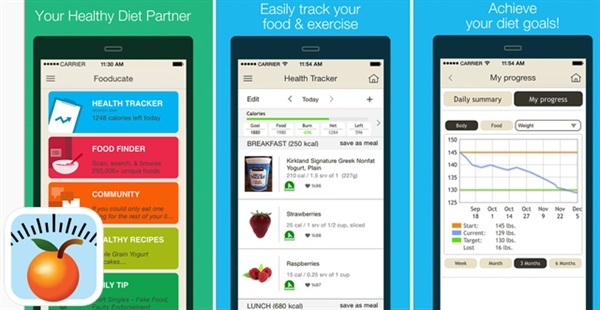 By finding healthy restaurants near you and providing nutritional information for each meal, this app lets you go out on the town without falling off the wagon. Available on iOS and Android (free). 7 Minute Workout: For those who want maximum results but don’t have a lot of time, 7 Minute Workout will generate a workout based around the science of high-intensity circuit training to help increase results and decrease time commitment. Available on iOS ($2.99) and Android (free). MapMyRun: For all of you runners, MapMyRun allows you to record your workout details including the time span, distance, pace, speed, elevation, and calories burned. 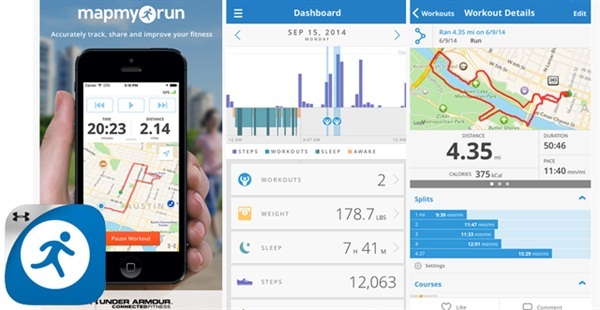 It uses the GPS in your phone to see the exact route you’ve traveled on the map and lets you view your workout history. Available on iOS and Android (free). 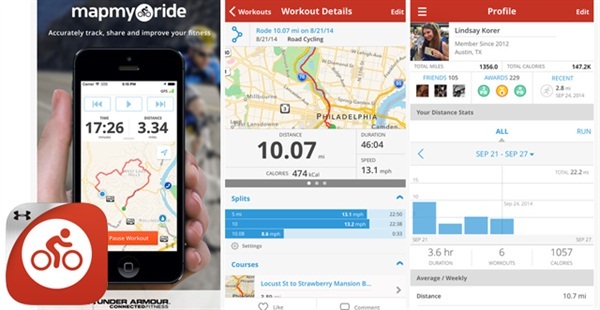 MapMyRide: For those who prefer biking, this app is similar to MapMyRun as it incorporates all its features, allowing you to track your rides. You can also use the app to find bike-related groups, routes, and events. Available on iOS and Android (free).